After graduating from the Film Studies program at NATFA, Sofia in 2005, Mariana has been working as a film and cultural journalist for several years. Pursuing a career shift, in 2010 she moved to Amsterdam to continue her education in the field of film archiving and curatorship. As part of the educational program, she completed an internship at Filmoteca de Catalunya, Barcelona working on two exhibition projects, and she is currently living in the Catalan capital focusing more on film festivals management and curating of content from Eastern Europe and the Balkans. 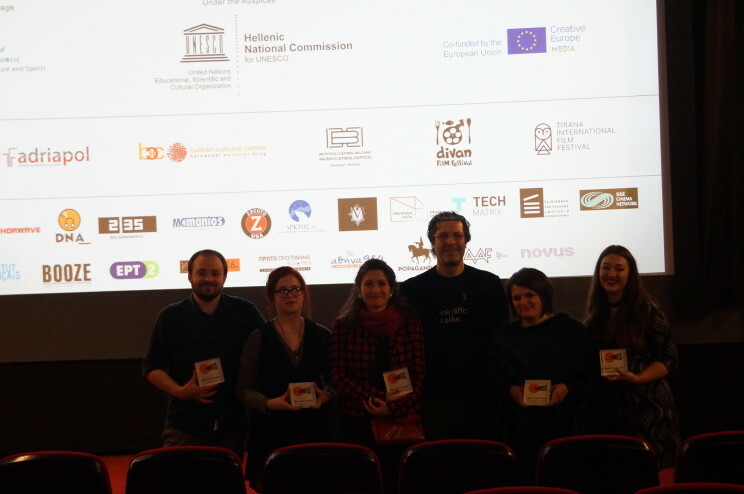 She has already curated “Visiones Balcanicas”, the first Balkan focus within the Mecal Short and Animation Film Festival, Barcelona and “Bulgaria, the Invisible Europe”, a film cycle of Bulgarian cinema at Filmoteca de Catalunya and Filmoteca Española in Madrid. She is co-curating as well The Croation Focus for the upcoming edition of Mecal in March, 2016. Özge Özdüzen completed her undergraduate studies and masters in the philosophy department at Bogazici University, Istanbul. She worked as a TA in the Istanbul Bilgi University’s media department for three years upon the completion of her masters. From 2012 onwards, she has been working as a teaching assistant and doing her PhD on “the politicisation of the film festival audience in Istanbul Film Festival” in the media department at Edge Hill University. Since 2006, she has been writing film reviews for magazines in Turkey, as a member of SIYAD (Turkish Film Critics Association) and FIPRESCI. She has also contributed for various edited books on especially the cinema in Turkey and Iran and has recently published on film festival culture in Istanbul. Andrei Sendrea is a young film critic and scriptwriter based in Romania. He graduated in 2015 from the National University of Theatre and Film “I.L. Caragiale” (Bucharest) with a BA in Film Studies. He has been writing film reviews and analysis from 2012, in both Romanian and English, for different print and online outlets. Studying at the Screen School, at Liverpool John Moore’s University, I am currently working towards my BA (Hons) in Film Studies. Having a passion for Film from an early age, it has always been an aim to work in the film industry, and I am currently exploring the idea of working in the world of Film Criticism and wanting to advance my writing skills. Amongst writing reviews for the AltCine Action films and contributing towards the 5C project blog, I have my own blog and also write reviews and film related articles for the website of a local art-house gallery and cinema. Along with cinephilia, I also have a passion for travelling, wishing to explore as many corners and cultures in Europe as I can whilst discovering new cinema from these places. Therefore it is an honour as a Balkan’s outsider to be apart of the 5C Project Cine-Caravan, to experience the Balkan way of life and being introduced to cinema that doesn’t necessarily get the distribution in Western audience, along with eating great food and meeting great people along the way.